It’s officially Summer which means festival season is upon us! The Alleen Company is looking forward to providing rental inventory and partnering with several churches and organizations to put on their summer festivals. Get ready to book up your June Calendar with tons of Summer fun!! Kicking off the festivals for June is the Jungle Jim’s Bacon Cheese Festival in Eastgate. This one of a kind festival will be set up and ready to rock at the Eastgate location, next to the awesome Paradise Pavilion on Saturday, June 3rd. The parking lot will be filled with some of the best bacon, cheese and beer! The festival starts at 4 PM and goes until 8 PM. There will be face painting, balloon animals, and tasty treats for the whole family to enjoy. 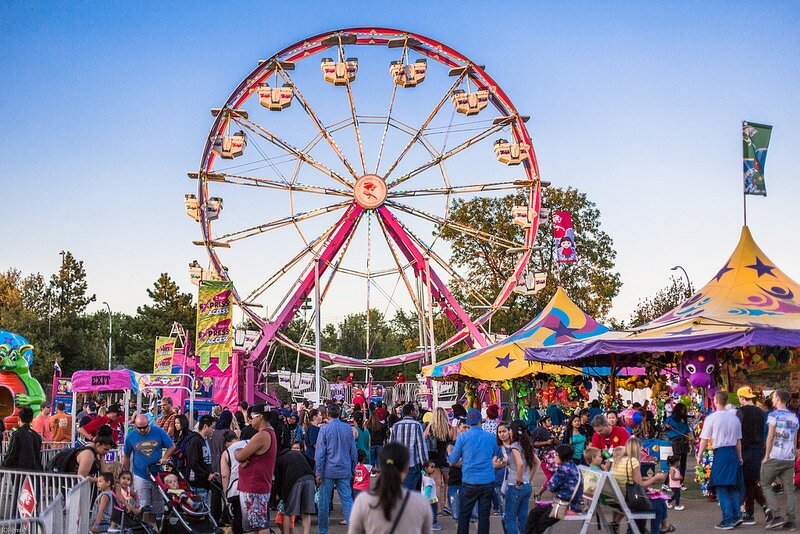 Also this weekend is the St. Anthony of Padua Festival taking place on Saturday, June 3rd and Sunday, June 4th at 2530 Victory Parkway. This festival features a variety of Mediterranean Food, Lebanese Dabke Dancing, and live entertainment. Plus they provide free admission and parking! The Parish Festival being put on by the Church of Assumption will be here shortly taking place on June 9th, 10th, 11th in Mt. Healthy. This festival is fun for all providing rides, games, food, and live music! AND if you come on Family Fun Day Sunday, you can receive ½ price admission and discount ride bracelets from 1-5 PM. Don’t forget, June 9th, 10th, and 11th is St. John the Evangelist’s Festival in Deer Park. Check out the many attractions like the basket bonanza, major awards raffle, rides, and live bands all weekend long. St. Veronica’s church festival is June 23rd, 24th, and 25th at 4475 Mt. Carmel-Tobasco Road. The festival features live music, rides, gambling, food and beverages, a children’s tent and much more. Plus, Sunday is family day with an option of a fried chicken or roasted pork dinner. You won’t want to miss the Panegyri Greek Festival running June 23rd, 24th, and 25th at the Greek Orthodox Church in Finneytown. This 43rd annual festival shares the Greek food and culture. Volunteers have spent many hours planning, cooking and baking to ensure that you enjoy a full Grecian experience. The Cincinnati Gay Pride Festival & Parade will take place on Saturday, June 24th at Sawyer Point. The festival kicks off at noon and ends at 9 PM. The Alleen Company is thankful to be able to provide rental inventory and expertise to all of these fun summer events. Fill up your calendar, grab some friends and family, and come celebrate Summer the right way!